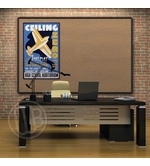 Natural tan cork has been used in bulletin boards and cork boards for a very long time. That's because natural cork has self healing properties that allow it to reform to it's original shape and in the process the hole formed by the tack is closed and virtually disappears. 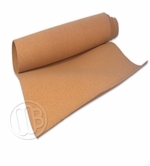 We offer a large variety of natural tan cork products including framed cork bulletin boards, cork panels, cork panels with an easy to use peel-n-stick backing and rolled cork materials. 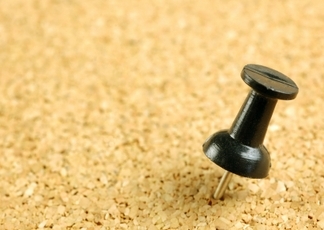 Note that all cork boards are not the same. 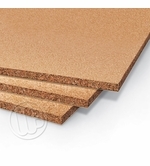 There are a number of cheap cork boards on the market place that will have only a sliver of real natural cork laminated over some cheap fiber substrate. They will work for a while but will wear down very quickly with repeated use so buyer beware. Classic Natural Tan Cork boards with aluminum and Oak trims. 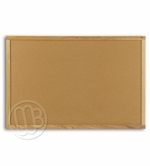 Natural Tan Cork Boards with a beautiful furniture quality oak frame. 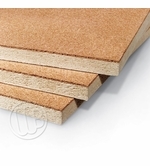 Natural cork mixed with a tinted binder to create a flexible, durable, and self-healing surface. Full rolls 98' Long 1/4" Natural Tan Pebble Cork.